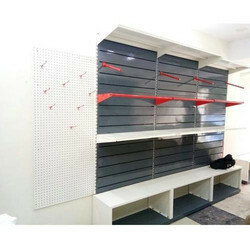 We are a leading Manufacturer of wall mounted garment rack, single pole garment display rack, retail garment stand, garment display stand, wall mounted racks and ms clothes display rack from Delhi, India. 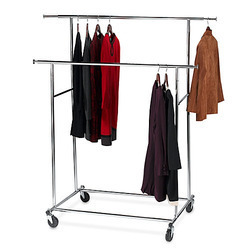 Our reputation in the market is largely attributable to our best quality Wall Mounted Garment Rack. 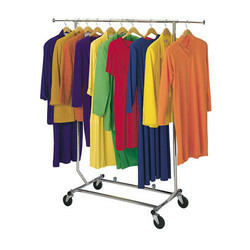 Aspired by the latest market trends, we are engaged in offering a supreme quality Single Pole Garment Display Rack. 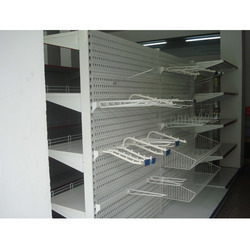 The offered rack is widely demanded in the market for featuring variegated attributes such clear visibility and attractive design. In order to meet its compliance with the set industry standards, our offered rack is designed with the help of our talented team of professionals. 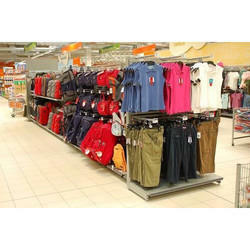 Further, clients can avail this rack from us at market leading prices. Being the most respected firm guided by talented and skilled professionals, we provide an enormous assortment of Retail Garment Stand. 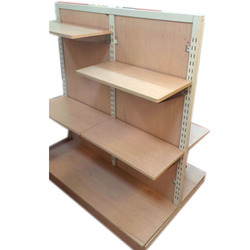 With our expertise in this domain, we are able to offer a superior quality range of Garment Display Stand. The range made available by us helps in improving the branding and boosting sales. To rule out every possibility of defect, these standards are thoroughly inspected by our quality controllers on certain well-defined parameters of quality. 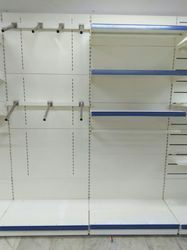 Industries also offer Wall Mounted Rack which is the most economical and cost-effective solution for small stores. 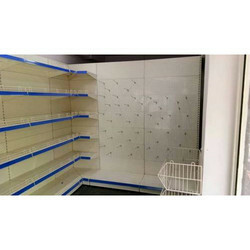 Wall mounted racks are directly mounted on the wall by drilling each upright/channels to the wall and then placing only the shelves without back panels with the wall as the background, thereby saving cost and also and utilizing the space effectively for small stores. Due to our enormous understanding and massive knowledge of this business, we are involved in offering MS Clothes Display Rack. Our company is well known in the industry for the manufacturing of an excellent range of Garment Hanging Display Stand which are highly durable and they are used for displaying garments such as the shirts, ties, sarees, dresses and other products. These stands can be availed in several sizes and also various shapes according to the specifications of the customers. These products have a very fine finishing and they have been made in accordance with the quality standards of the industry. Empowered by advanced infrastructure and dedicated workforce, our firm is occupied with bringing forth optimum grade Store Garment Display Stand in the market arena. Our clients can avail from us a comprehensive range of Garment Display Rack , which is manufactured from quality raw material. 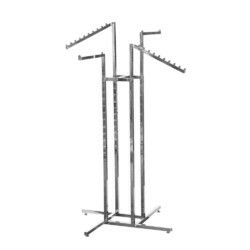 We are engaged in offering a comprehensive range of Garment Showroom Display Rack. 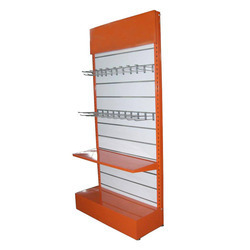 We are engaged in the sphere of manufacturing a wide range of MS Garment Display Rack. These are manufactured with high-quality raw material to ensure sturdiness and durability. Available in various sizes, our Garment Display Rack can also be customized as per the specifications, provided by our clients. 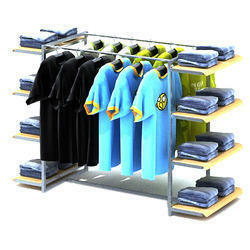 We have carved a niche in the industry by manufacturing a wide gamut of Four Way Clothing Stand. Suits, ladies-tops and various other garments can be put to display using garment hangers. Well-balanced and sophisticated style is the specifications of the stand. The stand finds wide applications in garment stores. Our deft professionals fabricate the stand using quality raw materials and smart technology. Apart from this, clients can get the stand in bulk at reasonable prices from us. Empowered by advanced infrastructure and dedicated workforce, our firm is occupied with bringing forth optimum grade MS Store Garment Display Rack in the market arena. We have carved a niche amongst the most trusted names in this business, engaged in offering a comprehensive range of Garments Hanging Stand. 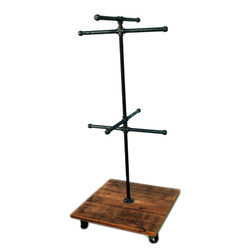 We have carved a niche in the industry by manufacturing and supplying a wide gamut of Four Way Garment Stand. 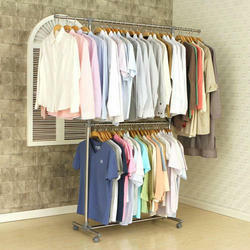 Suits, ladies-tops, and various other garments can be put to display using garment hangers. The well-balanced and sophisticated style is the specifications of the stand. 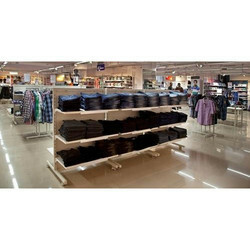 The stand finds wide applications in garment stores. Our deft professionals fabricate the stand using quality raw materials and smart technology. Apart from this, clients can get the stand in bulk at reasonable prices from us. 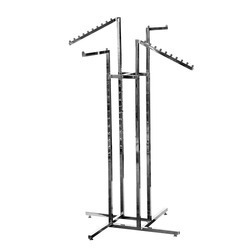 We are a reputed manufacturer of a superior quality Clothes Display Rack. Our offered rack is designed and manufactured by our experienced professionals in sync with international quality standards using optimum quality raw material and sophisticated technology under the supervision of our quality controllers. Widely used as commercial clothing racks, it is rigorously tested on various parameters of quality to ensure high durability. 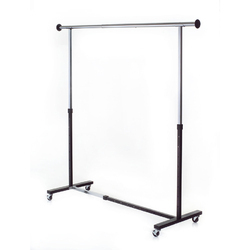 With our consistent focus on market norms, we proudly introduce a wide assortment of Portable Garment Rail that is high in strength and offers optimum resistance to corrosion. 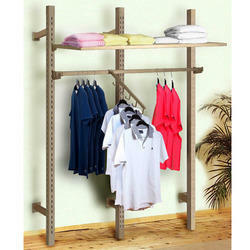 Offered hanging garment rail are highly demanded. 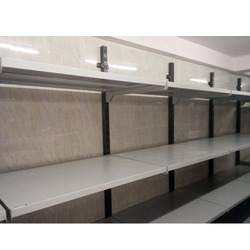 In order to ensure their compliance with industry set quality norms, all the garment rail are examined by our quality experts before dispatching. Impeccably designed, the offered rail can be easily fixed to the walls and guarantee optimum space utilization in the shops. 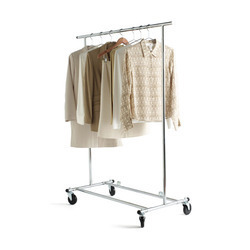 Being a client-centric firm, we are able to bring forth Garment Stand. 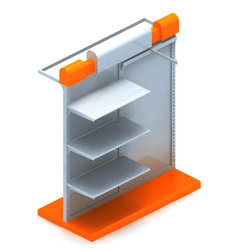 The offered stands serve the purpose of displaying items properly. We offer these stands in different types and designs in order to meet the needs of varied customers. Our professionals ensure that only defect-free range is delivered at the clients’ end within the stipulated time-frame. Owing to the years of industrial experience, we have been able to serve our valued clients with a wide range of Garment Slatwall Racks. Due to our enormous understanding and massive knowledge of this business, we are involved in offering Garments Shop Display Racks. 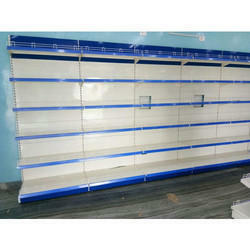 We are offering Double Rail Display Rack. 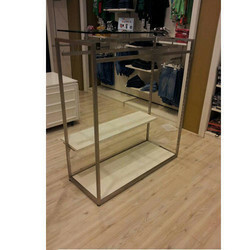 We are offering MS Retail Display Racks. 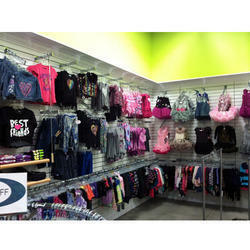 We offer Clothing Display Rack to our clients. 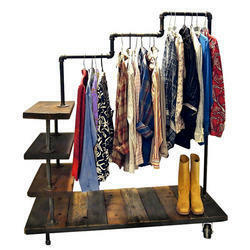 We offer Wooden Garment Display Rack to our clients.